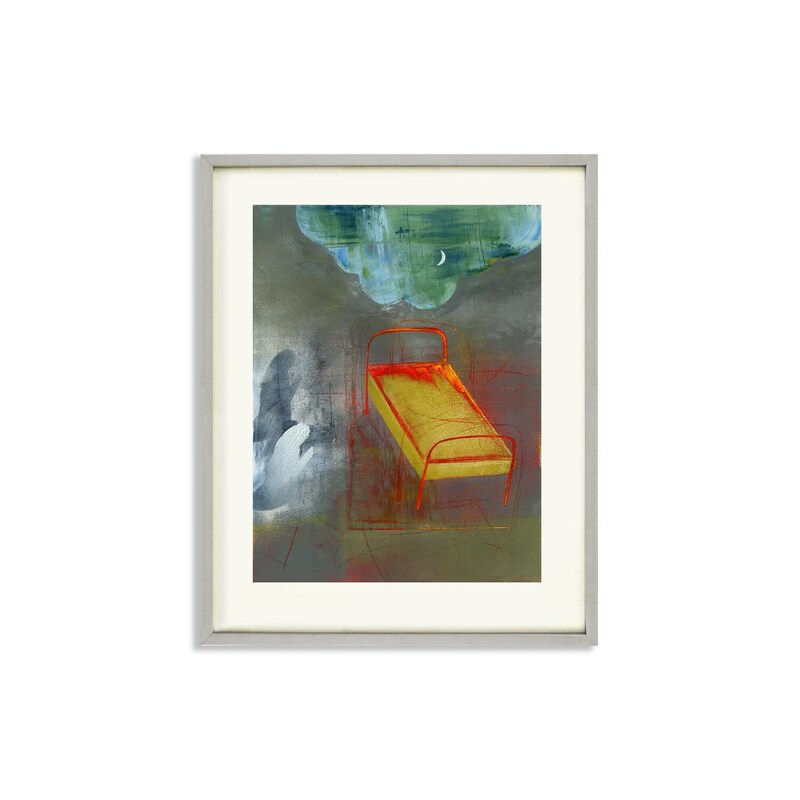 "The Red Bed (Ex Voto)" is an archival print reproduction from an original painting that is part of a series called "Sleep Studies." 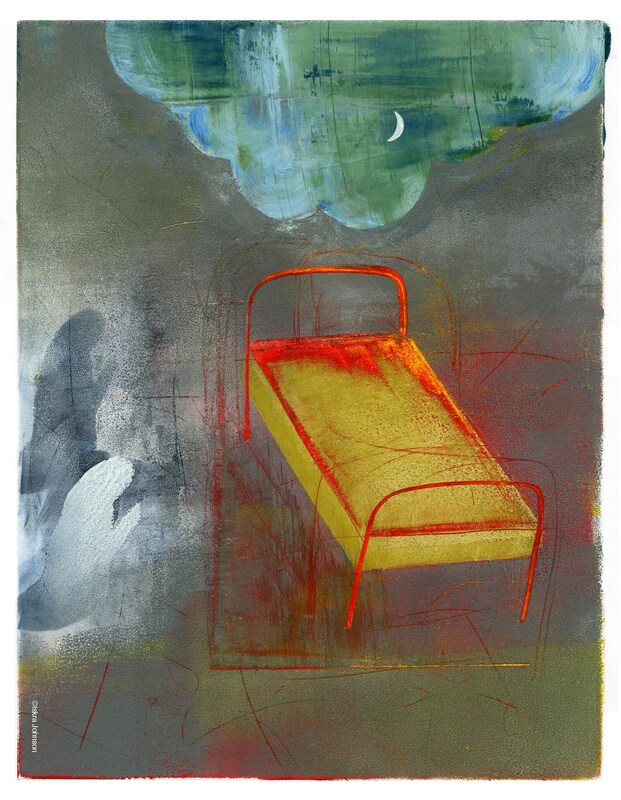 It uses the architectural shape of the bed as a vehicle for abstract thinking about dream states, hope and abandonment. The copyright notice on the left is not on the original painting, and it is signed on the back. 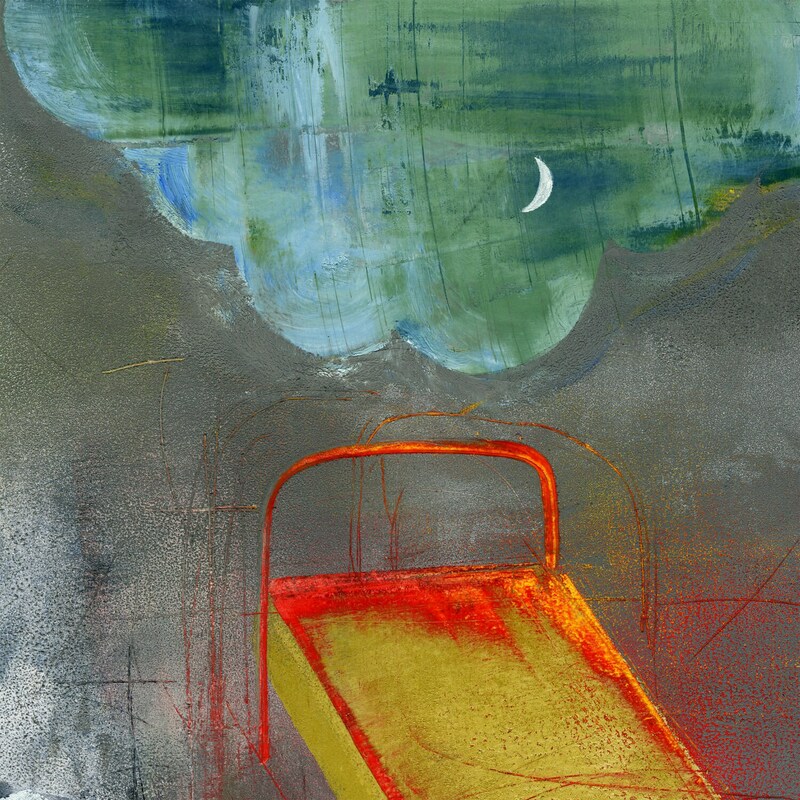 The painting was created with printmaking ink and brayers on rag paper. The prints are sold unframed, and the original ragged edges are included, but may be matted if desired. Prints are printed on Moab Entrada rag paper with archival inks rated to last over 100 years. Sold unframed.